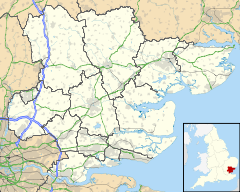 Boyton End is a hamlet in the Uttlesford district of Essex, England. It is located approximately one mile north-east of Thaxted on the B1051 road. This page was last edited on 16 February 2019, at 14:01 (UTC).